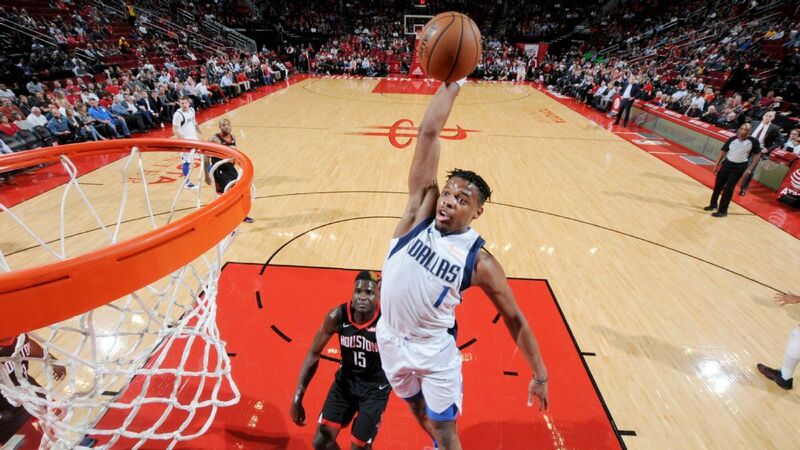 Dallas Mavericks coach Rick Carlisle reiterated on his weekly radio show that disgruntled point guard Dennis Smith Jr. “is welcome to come back and rejoin the team whenever he feels like he can,” adding that he believes Smith’s advisers are telling him to stay away from the team. Smith has missed the last four games — three officially because of back soreness and the fourth for an illness — as reports swirled about the Mavs shopping him in the trade market. “Plan A” is for the Mavericks to fix their relationship with frustrated point guard Dennis Smith Jr., as the team believes he has star potential, sources told ESPN. “I don’t know exactly what’s going on, but I know one thing: This kid is a team guy, and he loves being with his teammates, and he really respects his teammates,” Carlisle said Friday on 103.3 FM ESPN in Dallas. “This is just my feeling, is that he’s being told to stay away for whatever reason. I just don’t want people out there to think he is snubbing the Mavs or anything like that. This is just my opinion, I believe there’s business stuff going on, and he’s being told to stay away. Listen, if that’s what they feel is in his best interests, he should trust his advisers. But it’s unlike him not to want to be with his teammates. Several team sources have downplayed the issues regarding Carlisle’s relationship with Smith, saying it’s a typical case of a coach being demanding of a talented young player. That’s how Carlisle characterized the dynamic between Smith and him, praising the 21-year-old point guard for the progress he has made in his second season. “This kid is a professional,” Carlisle said during his radio show. “He’s worked hard. He’s become a better worker each year. I’m really proud of the progress he’s made. Smith’s absence is especially problematic for the Mavs after backup point guard J.J. Barea suffered a season-ending ruptured Achilles tendon last week. The NBA has awarded the Mavericks a Disabled Player Exception of $1.85 million with the loss of Barea for the season, league sources told ESPN’ s Adrian Wojnarowski. Dallas can use $1.85 million to acquire a player in a trade with the exception, which expires March 11. Carlisle acknowledged that Smith has had some difficulty adjusting to the new dynamics created by the 19-year-old Doncic’s rapid ascent to stardom. While Doncic and Smith have developed a friendship and frequently hang out together, they have struggled to create on-court chemistry, a factor in Smith’s future with the Mavs being murky. The Mavs’ offense has sputtered with Smith and Doncic on the floor together, scoring only 100.9 points per 100 possessions in 687 minutes, which is only one-tenth of a point better than the Chicago Bulls’ league-worst offensive efficiency. The Mavs average 108.4 points per 100 possessions overall. Asked if he was confident that Smith could still be a long-term piece of the Mavs’ core, Carlisle took a short-term view.